Estate planning makes it possible to ensure that your designated loved ones will receive the assets you want them to inherit after your passing. An estate planning law firm in Ridgefield CT such as Sweeney Legal can help you create the will or trust that reflects your final wishes. John Sweeney of Sweeney Legal is committed to protecting the best interests of his fellow community members. John is also a passionate advocate for elders and their families. He is committed to providing quality and compassionate legal services for all of his clients. Below is a suggested checklist of the do’s and don’ts associated with estate planning. For additional information about estate plans, John is available to talk further with you about your options. When you call us, request a free consultation to meet with John to learn more about the importance of estate planning and how it can bring you and your family peace of mind. DO: Take time to consider who will be best suited to handle your affairs. You should be confident about the person you appoint as your executor or power of attorney. They should be someone who you are confident will handle your assets with care. As an alternative option, you can appoint an attorney from an estate planning law firm such as John Sweeney as your executor. DON’T: Forget about your animal companions. Including pets in one’s estate plan is common as many people consider their animals to be part of the family. Pets are considered personal property by law, so you should assign someone to take over the care of your pets in the event of your passing. With the help of an estate planning law firm, you can even set up a pet trust to set aside funds for the guardian of your animals. DO: Consult with an experienced attorney. Choosing an experienced estate planning law firm in Ridgefield CT is important. By hiring a knowledgeable attorney, you can feel confident that you will receive quality legal advice, including how to avoid unnecessary taxes. DON’T: Think your final edit is all you have to complete. You should update your estate plan as life events happen. This might include marriage, divorce, births, and deaths. You may even need to add or remove a beneficiary, depending on how relationships change over time. Perhaps one of the most important documents in an estate plan is a will. You can list your beneficiaries and how you want your assets distributed among them. DON’T: Think you do not need an estate plan. Nearly everyone can benefit from writing an estate plan. Even if you do not think you have many belongings or finances to pass on, it can reduce the stress of your surviving family members who will have to handle your belongings after your passing. Writing an estate plan can help make things a little easier for your family, who will be grieving your loss. Sweeney Legal is an estate planning law firm Ridgefield CT families turn to when they need trusted legal advice. John Sweeney will be happy to speak with you about your legal needs. He offers a free consultation to all new clients. Consider calling him today to find out more about how he can help you plan your estate. Most people do not relish the thought of writing a will or preparing for their death. The feeling associated with estate planning, as well as being busy with life, can lead to some people not having a will in place when they pass away. Under the law, when a person dies without a will, the person is said to have died intestate. When a person dies intestate, Connecticut law governs how the person’s property should be divided. Basically, the law looks to the person’s next of kin. This means that if a person dies without a will, and he has a spouse and children, they are first in line to receive the person’s property. There are some exceptions to the kind of property that can be inherited in this way. If the deceased person has a surviving spouse and no children, the spouse receives all the assets in the deceased’s estate. If there is a surviving spouse and children, the children and the surviving spouse split the assets in the estate in half. The surviving spouse receives one half share and the children divide the other half amongst themselves. Children who are conceived before a person’s death and are born after his death are also entitled to receive a share of the deceased’s estate. Adopted children also inherit from the adopting parent, unless they are adopted after they reach the age of eighteen without having previously lived with the deceased. If the deceased has no spouse and no children, the law looks to the parents and the siblings of the deceased. The parents and siblings generally receive the entire estate to share in equal shares. If there are no parents and no siblings, then the law looks to grandparents or any other relatives to inherit the estate. In the event that the deceased has no living relatives to inherit the property, the property is taken by the county the deceased lived in before his death. There are some assets that are not inherited through an estate. A lawyer from an estate planning law firm can explain how this affects your specific situation, but, generally, these include the proceeds of a life insurance policy, retirement accounts, and some real estate depending on how it is titled. For example, if the deceased owned real estate with another person as joint tenants with right of survivorship, the deceased’s share in the property would be inherited by the other joint owner. When one or both parents pass away, children are likely to be significantly impacted. They will be grieving the loss of a parent whom they have formed a great attachment to. The emotional impact of losing a parent can be a significant loss for any child. It can be even more traumatic for a child who still relies on their parents to provide them with their basic needs. When an estate plan hasn’t been created, your children’s future may be uncertain. Grieving children need to know where they will be living and who will care for them in the event you are no longer with them. Without an estate plan detailing the plan for your children, contentious familial relationships may result. The last thing you want is for your family to be left fighting over your children. Unfortunately, this is the harsh reality of what could happen should you pass away without making the proper preparations. Emotions will be running high, the last thing you want to do is heighten your child’s loss with family members competing for guardianship over them. Should one parent pass, in most cases the other parent will automatically provide all care for your children. However, in situations where both parents have passed away, you will need to identify a guardian to step in to provide the care they require. A Ridgefield, CT estate planning lawyer can help guide you through the process of identifying a guardian. It’s also key that you identify a few backups in the event the person you originally identified has passed away or no longer is up for the task of taking on this great responsibility. Additionally the guardian may also be responsible for managing the child’s inheritance unless you develop a trust. One risk that could occur should you fail to create an estate plan, is that the person chosen to care for your children will be entirely out of your control. This can be a stressful process for loved ones to endure. In the process, the judge may appoint someone that you do not want caring for your children. In addition to appointing a guardian, you will also need to name an executor to oversee the resolution of your estate plan. This should be a trustworthy individual with the ability to hire a lawyer, manage your finances, valuing your assets and distributing assets. 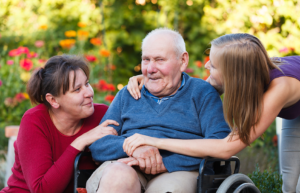 Once you have made decisions over who you will appoint to care for your children and the estate should you pass away, you should communicate your wishes with family. Not only will it be important that you confirm whether the identified person is up for the task of caring for your children; but also to make sure that other family members are aware of the plan. This can help to keep everyone on the same page and reduce conflict should the unexpected occur. Have you continued to put off the process of creating your estate plan? It can be easy to set aside, for another day. It’s critical to protect your children’s future with an estate plan to map out next steps. From one moment to the next, life is full of unexpected unknowns. Ensure that when you are faced with the unexpected, you have a plan in place for your children should you no longer have the ability to care for them. Contact an estate planning lawyer in Ridgefield, CT in your area for the help you need in creating your estate plan. Whether you are young or old, having a will should be a priority. There are many reasons to have a will and a well thought out estate plan that looks at other ways to pass on your assets to your loved ones. If something happens to you and you have not put forth any estate plans, your assets and property may not be distributed the way you would have wished, but instead by the way the state and court mandates. To schedule your consultation with an estate planning law firm Ridgefield CT clients respect in order to develop your estate plan, contact Sweeney Legal today for help.